Commercial fleet operators are always looking for ways to reduce their expenditures and achieve higher returns on investment for their operations. We know that the cost of new tires is rising and this is part of the reason many fleet operators are now turning to tire retreading. Our team at STTC has many years’ experience providing clients the highest quality retread tires for their fleets, and within our latest post, we’ll highlight the benefits of tire retreading vs. buying new tires. While years ago there were issues with rolling resistance, some retread designs now offer the same level of low rolling resistance as the leading new tires in the marketplace. This means fleets can achieve the same high level of fuel efficiency using retreads than new. There are even SmartWay approved treads. When determining the value of a tire, the most important consideration is the cost per mile. The data show that tire retreading supports a lower cost per mile than buying new tires. This is the case because you get to reuse the casing each time you retread, therefore saving the cost of the casing. 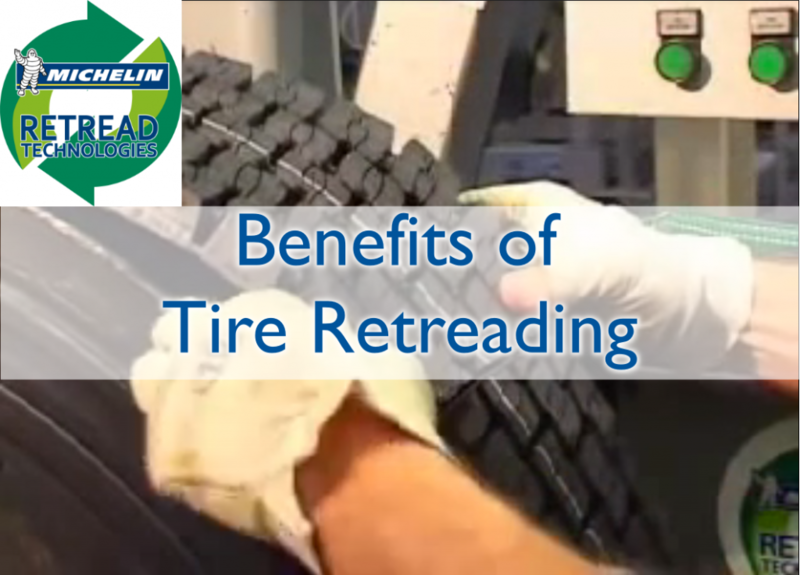 By committing to tire maintenance and harnessing the value of retreading, companies can save thousands of dollars per tire over the product’s lifetime. Another clear value of retreading is the reuse of the tire casing. The casing can often be used as many as three times before it’s no longer viable. Retreading companies are exceptionally careful in inspecting the casing to ensure the structure is safe for the retreading to be completed. The process helps ensure further value for money for the fleet operator. Companies across the fleet operations marketplace are now able to meet their environmental targets by committing to tire retreading. Retread tires are among the most environmentally-friendly tire options for fleet vehicles. The studies show that retreading a tire requires only 7 gallons of oil compared with producing a new tire, which requires 22 gallons of oil. There are over 24 million retread tires sold each year, saving an estimated 360 million gallons of oil and 24 million fewer tires to be disposed of. Our trusted team at STTC is here to guide you in reviewing the value of tire retreading for your fleet. To discover more about our work and the full range of options we have available, please call us directly today at 610-991-8641.